We all are familiar with Android and iOS platforms as both are popular but are quite different when it comes to functionalities. When we talk about a variety of hardware and myriad software customization options for a smartphone then undoubtedly Android is the name that pop-ups in our head. And why not, it offers astonishing design and the most compelling camera under your budget. However, using an iPhone is a status symbol. Moreover, it offers a sleek design, user-friendly interface, and rapid browsing speed. 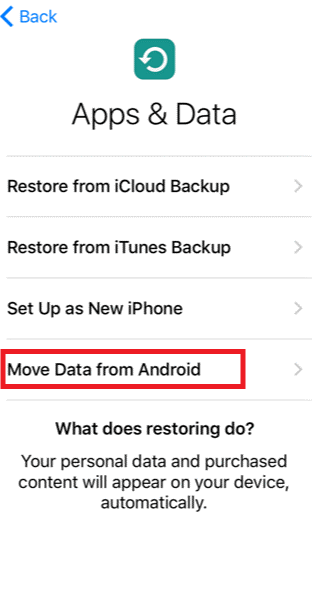 However, if you are making a big move from Android to iPhone, then the first things that counter your mind are, how to get your data on the iPhone. Well, don’t worry, we can easily do it with the help of the app, Move to iOS. It is a smart decision to take your data with you. By following this process, you can transfer your contacts, messages and photos. Note: You need to turn on Wi-Fi on your Android & iPhone and connect them with the same network. Excited to make calls or text your friends from your new iPhone? but wondering how to get your contacts and other data on the iPhone? 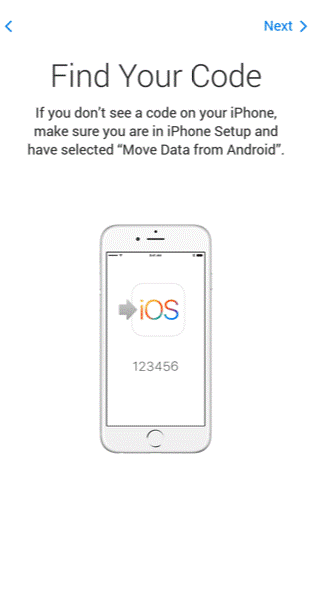 So, let’s get started and learn how to transfer data from Android to iPhone. Note: Please keep in mind, the steps might vary from device to device. 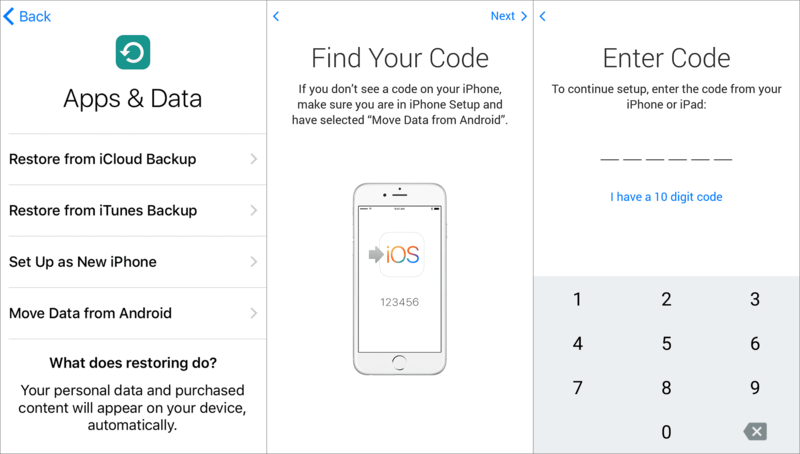 Install the “Move to iOS” App on your Android device from the Google play store. This application is developed by Apple and available for free. Now, keep your Android aside and start your iPhone. Follow the on-screen instructions to set up your iPhone. 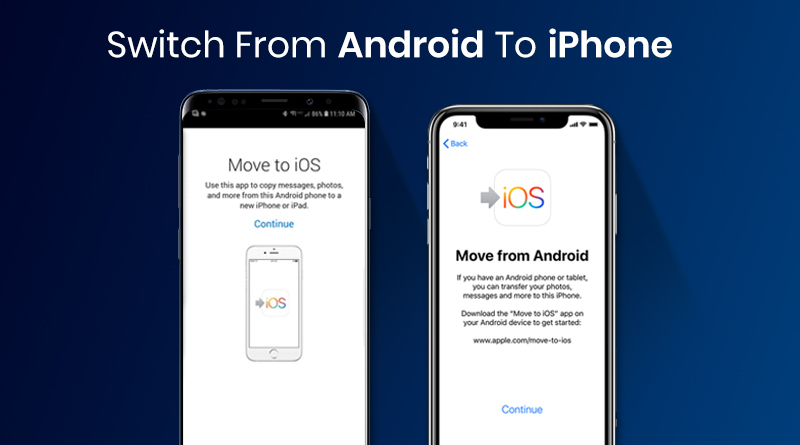 Now, access “Move to iOS” app on your Android and hit continue. Tap on Agree and Next. Now, on your iPhone, hit Continue. You will get a code on your iPhone which you need to enter on Android. Now on your Android screen, you need to select the data you’re interested in transferring. You need to wait for a while to get the data loaded on your screen and then hit Next. The transfer might take a bit longer depending upon the size of the content. Hit done button on your Android phone. On your iPhone screen, you will see a screen saying, “Continue setting up iPhone”. You can continue setting up your Apple ID on your new iPhone. once done, you will find all your data such as contacts, messages, bookmarks, pictures etc. on it. In case, you want to get more apps on your iPhone, then visit the App Store. That’s it, now you can dump your Old Android phone and enjoy using your iPhone. if you want to know more hacks for iPhone then stay tuned! Till then have a great day!